OAK BAY REAL ESTATE MARKET UPDATE SEPT/15. So far this Year 231 homes have Sold (completed Sales) in Oak Bay since January 1, 2015. Looking for a home in Oak Bay? Currently there 62 Homes For Sale, ranging in price from $529,000 on Foul Bay Rd to $14,999,000 for a waterfront home on Humber road. Currently there are 41 Pending Home Sales in Oak Bay. OAK BAY PARK REAL ESTATE MARKET SEPT/15. Very effective marking .... I like the last map photo the best. 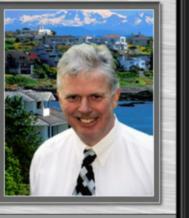 HI Fred, thanks for the market update on homes sold in the Oak Bay area. Just a suggestion for you Fred Carver add a link to your CMA photo so those (like me sometimes) who don't read the whole post can just click on the image that catches their eye. This is a well-written market report, Fred. Thank you so much for sharing this! Have a great day ahead! Hi Sam Shueh ...Some time ago Bob Stewart recommended against adding links to photos. Maybe that suggesstiion has changed. I have added the links. Hi Sybil Campbell Thanks for dropping by and reading and commenting on my Oak Bay Real Estate Market report post for September 2015. Hi Kathy Clulow I used always add direct links in my photos for the reason you mention, see my reply to Sam above. Hi Nestor & Katerina Gasset Thanks for dropping by, I'm glad you enjoyed my Oak Bay Real Estate market report.